We provide the full spectrum of security services for domestic and commercial properties, including alarm installation and maintenance, access control, closed circuit television (CCTV), monitoring and guarding. 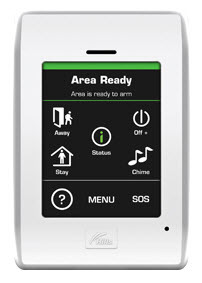 We supply, install and service a full range of top quality new domestic alarms and commercial security products. We also service and upgrade existing security systems. Contact us to discuss your security strategy when planning your new home or office. We are able to assess your requirements and make system recommendations to best suit those needs. Use our years of experience in planning, designing, engineering and installation to your advantage when selecting the most appropriate security solution. If you have an existing security system and would like an obligation-free evaluation of its performance and efficiency, please contact Mark Schwartzer. We are confident of our technical expertise in repair and maintenance of all types of panels and security systems. We don’t bind customers to long-term contracts and our fixed-price annual service fee ensures there are no nasty surprises. If your business requires authorised access to restricted areas, Aust-Guard can provide affordable and reliable access control systems for any size property. Computerised tracking and recording of access enables superior levels of security in high-risk precincts. See our Paxton Door Access security solution. Aust-Guard is linked to a 24-hour monitoring station which provides immediate, effective response to any alarm activation. We can meet any short or long-term guarding requirement for corporate or personal situations, providing professional, trained guards to protect property, inventory and employees. All our guards are backed by 24-hour support linked directly to the control room. Leave your details here and we'll contact you as soon as possible.